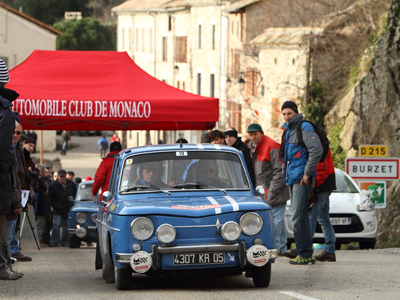 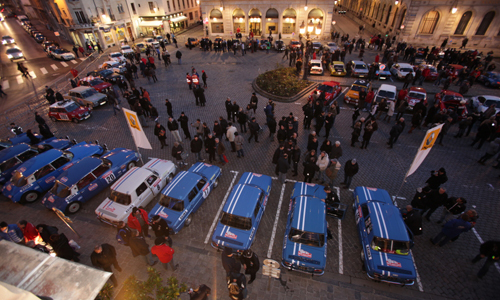 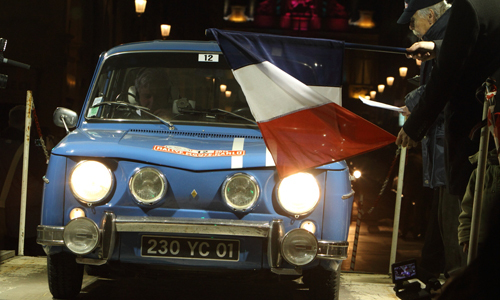 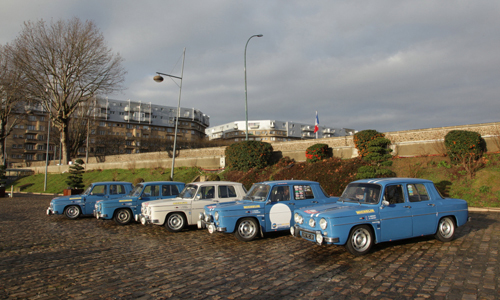 For the 50th birthday of the famous blue car with white stripes, Team Renault Classic entered five Renault 8 Gordinis in the Rallye Monte-Carlo Historique. 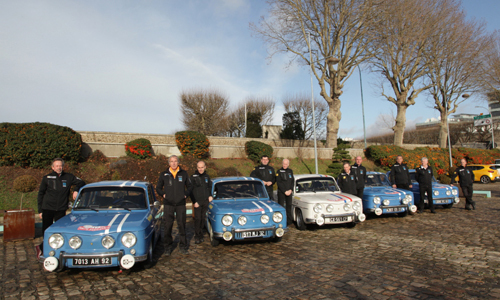 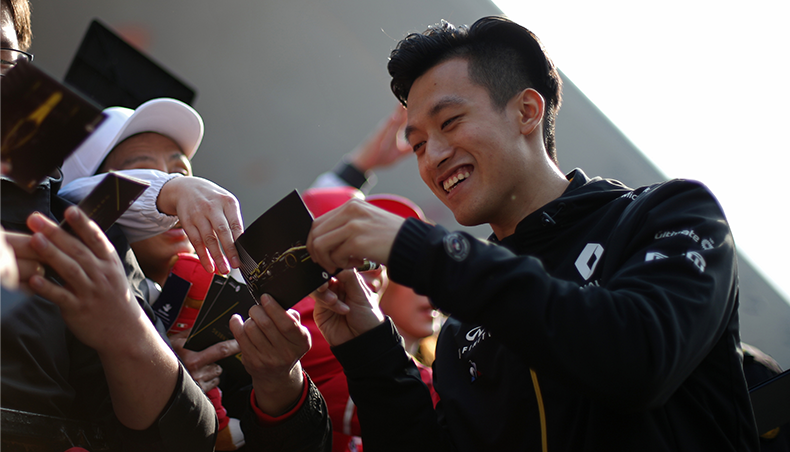 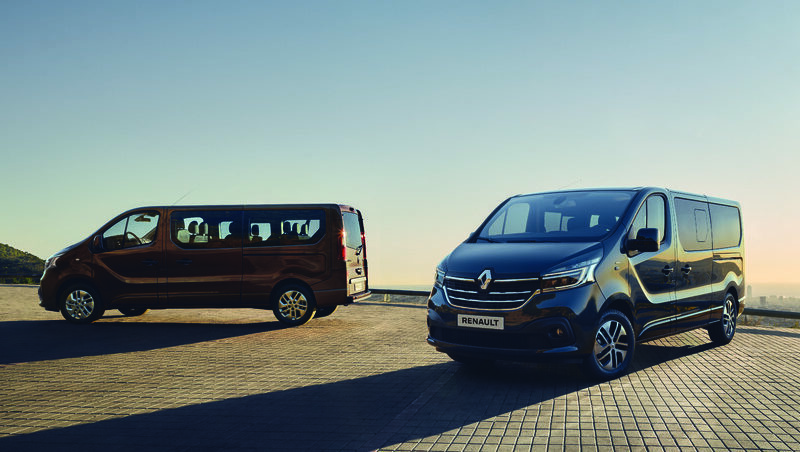 The five models set off from Rheims on January 24 and all arrived safely in Monaco on January 28 and 29. 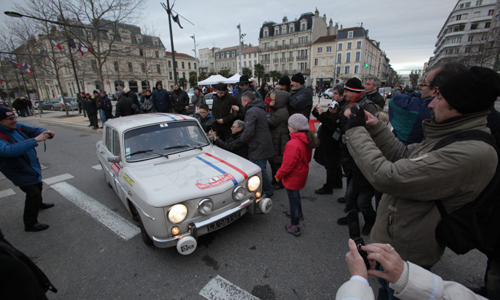 Or not quite all, as one of the Renault 8s unfortunately had to withdraw not far from the finish line. 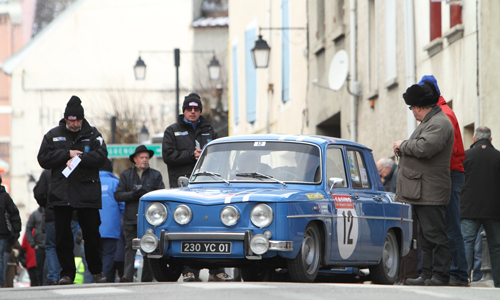 But the biggest story lay in how the six days of regularity racing showed the enormous popularity of the famous French-blue car with white stripes. 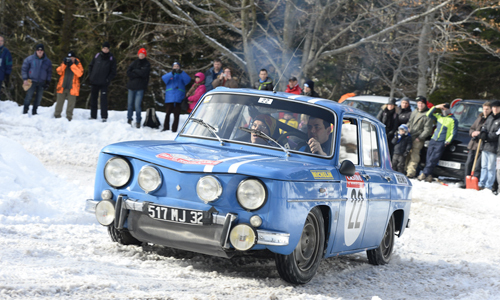 The Renault 8 Gordini driven by Jean Ragnotti will be on show next week on the Renault Classic stand at the Rétromobile show, along with other versions of the popular sporting icon. - No. 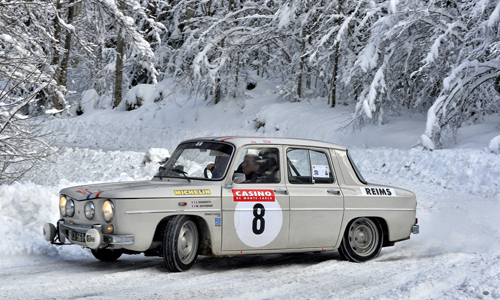 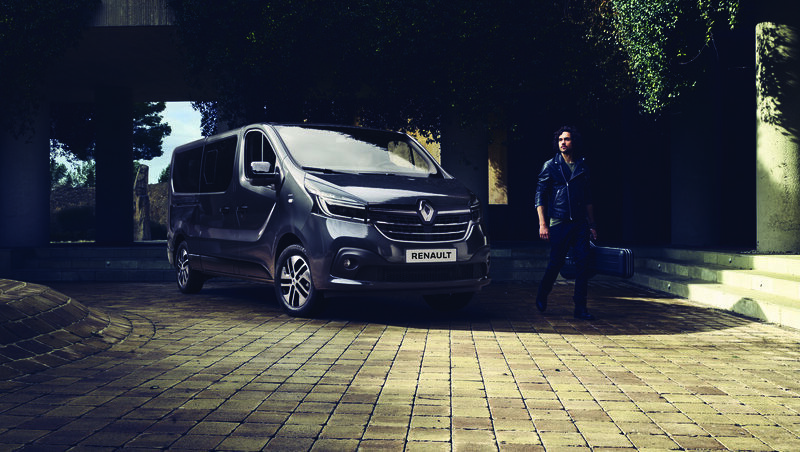 22: Gilles Zaffini, motorsport enthusiast and Renault dealer in Bron, and Serge Mollar.